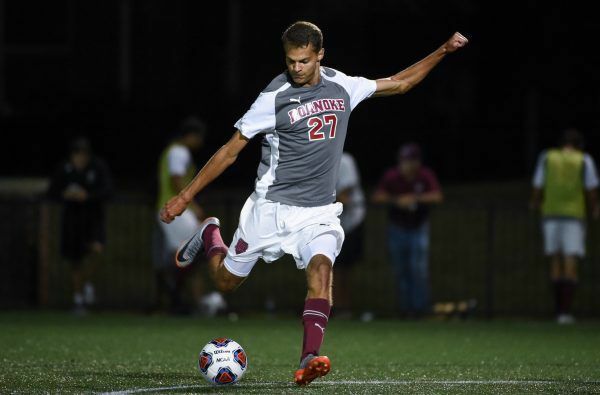 The Roanoke College Maroons Men’s Soccer College Prospect Camp is a three-day event that will run from the 15th of June until the 17th of June. It is going to take place at the state of the art Donald J. Kerr Stadium which is in Salem, Virginia. This soccer prospect camp is open to all male soccer players in grade 9 up to grade 12. In addition, the program is set to start at 1:00 PM on Day 1 and end at 11:00 AM on Day 3. It is open to both commuter and residential camper registrants. The registration fee for commuter campers is $325 while it is $425 for residential campers. Furthermore, this program is a venue to showcase outstanding skills in from of Division I, II, and III coaches. Roanoke College, originally Virginia Institute, is a private, coeducational, liberal arts college in Salem, Virginia. It is an affiliation of the Evangelical Lutheran Church in America. As a whole, the institution as a whole has an accreditation from the Southern Association of Colleges and Schools and is using a semester-based academic calendar. Presently, Roanoke College’s total undergraduate student population is 1,992. 41 percent of this undergraduate student population are male students and 59 percent are female students. This undergraduate student population is also through a selective enrollment acceptance rate of 73 percent. Correspondingly, Roanoke College’s student to faculty ratio is 11:1. Roanoke College is also among the nation’s top-performing academic institutions. As a matter of fact, it is 138th in the National Liberal Arts Colleges category of the 2018 US News and World Reports Best Colleges rankings. Roanoke College is also 168th in the High School Counselor Rankings. In the sporting world, Roanoke College fields its men’s and women’s teams in the Old Dominion Athletic Conference (ODAC) of the National Collegiate Athletic Association (NCAA) Division III. They are the Maroons and maroon and gray are their identity colors. Overall, the Roanoke Maroons has already two team national championships won by its basketball and lacrosse teams respectively. The head coach of the Roanoke College Maroons men’s soccer team is Ryan Pflugrad. He is now in his fifth year at the helm of the Maroons men’s soccer program. Coach Ryan Pflugrad is a bachelor’s degree graduate from Roanoke College and a master’s degree graduate from Goucher College. Ultimately, Coach Ryan Pflugrad is the 2014 ODAC Coach of the Year awardee. This award comes after he led the Roanoke Maroons to an undefeated ODAC regular-season. He also led the Maroons to the same feat in the 2016 season. Coach Ryan Pflugrad is a United States Soccer Federation (USSF) “B” coaching license holder. Then, the Roanoke College Maroons men’s soccer assistant coaches are Alistair Moore and Austin Rose. Coach Alistair Moore is now entering his third season with the coaching staff. He is an alumnus of Emory University. Coach Alistair Moore is a standout soccer player himself. In fact, he was a Virginia High School League (VHSL) Group AA State Player of the Year during his Blacksburg High School years. He was the leader of the Blacksburg Bruins two championships. Coach Pflugrad was also part of the Emory Eagles University Athletic Association (UAA) Conference title team in 2012. The Roanoke College Maroons Men's Soccer College Prospect Camp is intended for high school players who desire to take their game to the collegiate level. This program is under the supervision of the Roanoke Maroons men's soccer coaching staff. Coaches from other top colleges and universities are will also attend and help facilitate the event.